In a world where it’s increasingly convenient to buy many things online, some patients are even turning to the Internet for their eyeglasses. While the accessibility and pricing of retail optical websites may be attractive, there are several reasons to think twice before clicking the buy button. A study published in the Journal of the American Academy of Optometry found that eyeglasses purchased online were more likely to be deemed unsafe or unacceptable due to poor frame fit, unsatisfactory appearance or inaccurate measurements. In fact, 44.8% of the eyeglasses ordered online by study participants included an inaccurate prescription or failed to meet safety standards. No two faces are alike, and subtle differences mean a lot when it comes to eyeglasses. Multiple accurate measurements are necessary to perfectly fit your frames to your unique features. Frames that are too large, too heavy or don’t correctly sit on your nose will slip. 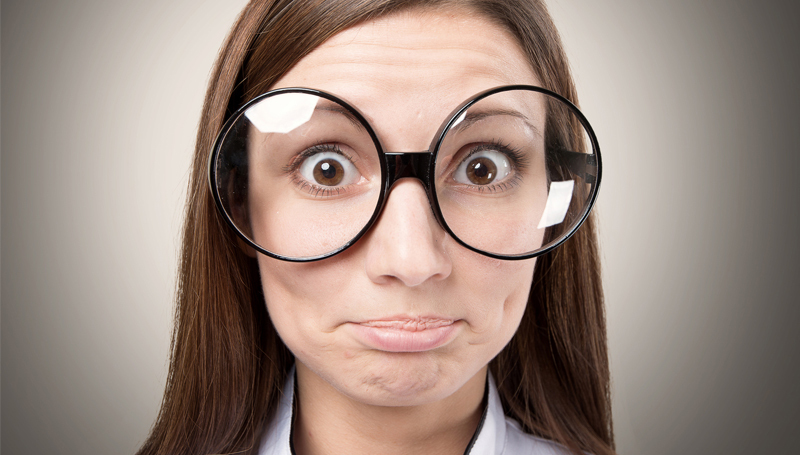 Frames that are too small may pinch your nose or temples and become extremely uncomfortable. In addition to being uncomfortable, this can cause vision problems. An experienced local optician at a brick-and-mortar optical shop can take precise measurements and help you find frames that fit your face properly and match your needs. Nearly as important, you get to see the frames actually on your face, not just through some idealized 3-D rendering. Pupil distance (PD) is arguably the most important measurement for finding frames and lenses that will optimize your vision. PD determines where to place the center of each lens in your frames to match the unique composition of your eyes. This has a huge impact on your improved vision quality. Unfortunately, this measurement is not usually provided with your eyeglass prescription, and it is extremely difficult to measure accurately on your own. Online retailers may reference a variety of do-it-yourself alternatives, but usually recommend going back to your optometrist for this measurement. Well, if you have to go back to your eyecare practice anyway, if they offer an in-house optical, why not just get your glasses there? Fitting multifocal lenses, like bifocals, trifocals or progressives, is especially challenging. In fact, it’s so intricate that most online eyeglasses retailers won’t even attempt it. Still, some websites will work with customers one-on-one to try to achieve a successful result. While in a brick and mortar setting, the measurements necessary for mutlifocals are taken after the frame is selected and personally fitted, without that ability, these online retailers have to estimate and hope for the best. Shopping online is a great option for a lot of things, but when it comes to your vision, it’s hard to overstate the value of a local optical shop. If you are in the market for your next pair of eyeglasses, stop by one of our two convenient Gainesville optical shops today or contact North Florida Cataract Specialists and Vision Care at 352-373-4300. Whether it’s time to select a new eyecare practice for general, ongoing vision care or for a specific surgical need, it’s important to weigh your options and select the eye center that’s right for you. But what should you look for? 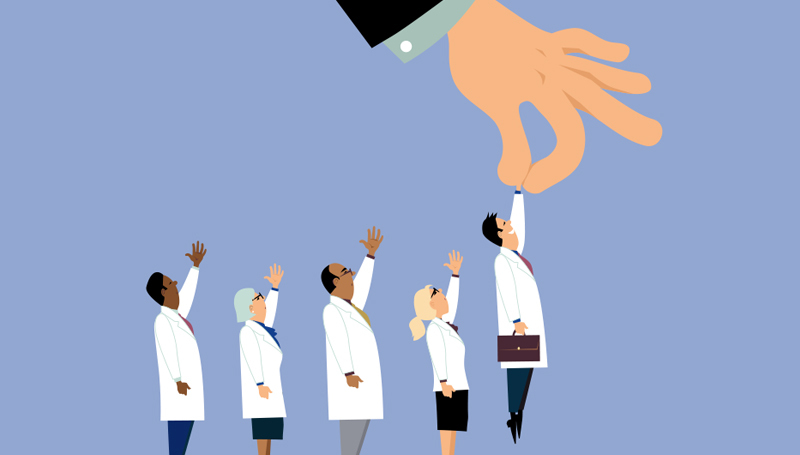 What criteria make one vision practice stand out from the rest? The following factors should be at the top your list. You deserve a practice where everyone from the physicians to the front desk has your best interests at heart. The team at North Florida Cataract Specialists and Vision Care, led by Dr. Gregory Snodgrass, pride ourselves on listening to our patients, and answering every question you have. Our doctors, opticians and staff have the training, experience and expertise to effectively diagnose and treat your individual vision challenges. That’s probably why we were voted 2018 Best of the Best in three separate categories. The best people make all the difference. Why get your kids’ eye exams one place, your glasses another and your mom’s cataract surgery yet another? North Florida Cataract Specialists and Vision Care offers comprehensive eye care for the whole family. 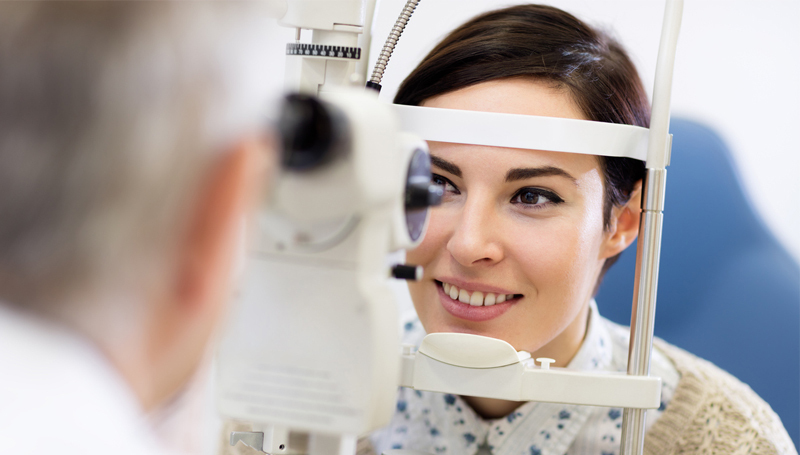 From annual vision exams to prescription glasses and contacts to treatment of a wide range of eye diseases, our practice can take care of all your vision needs in one place. That means less shuttling the family from one place to another, less paperwork, fewer insurance hassles and a better overall experience. In today’s busy world, convenience is key, so North Florida Cataract Specialists and Vision Care has three locations to serve you – NW 8th Avenue and 43rd Street in Gainesville, Tioga Town Center in Jonesville and SW Main Boulevard in Lake City. Each location offers state-of-the-art equipment and friendly staff to provide you an outstanding experience. 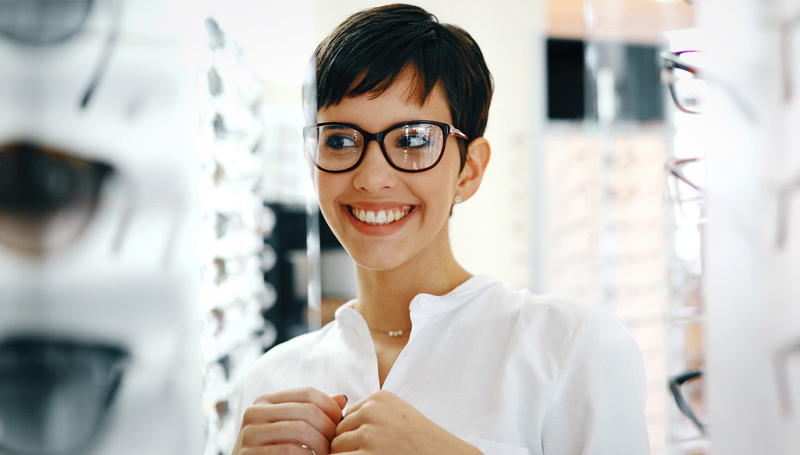 Our Gainesville and Jonesville locations even feature complete optical shops so you can select and be fitted with stylish eyeglass frames from some of the industry’s best-known brands, including Saks Fifth Avenue, Kate Spade, Costa Del Mar, Gucci and more. The physicians and staff at North Florida Cataract Specialists and Vision Care are committed to meeting your needs and providing the finest eye care available. If you’re looking for your new eye center, contact us today at 352-373-4300 to schedule an appointment. Millions of people around the world have regained their vision thanks to cataract surgery. In the U.S. alone, more than three million successful cataract surgeries are performed each year, placing it among the nation’s safest and most effective surgical procedures. The advent of laser-assisted cataract surgical methods nearly a decade ago took the procedure to the next level, providing patients an even better way to put cataracts behind them for the rest of their lives. The benefits of laser-assisted versus traditional cataract surgery are substantial, and should be weighed when considering your surgical options. Laser-assisted surgical technology like the LenSx system allows the surgeon to capture high-resolution images, detailed measurements and other data used to perform the surgery. With the system’s precise mapping of the patient’s eye surfaces, the surgeon identifies the ideal location for the incision. The surgeon then uses the computer-guided laser to make a tiny incision in the eye surface. All of this is accomplished with pinpoint accuracy. The remaining steps of the procedure are completed through this incision, and the procedure is completely pain-free. With traditional cataract surgery, patients often experience a few days of discomfort in and around the eye. They may also experience blurred vision, mild headache, feelings of grittiness and itchy or sticky eye. The severity and duration of those side effects is greatly diminished with laser-assisted cataract surgery. While patients may have some cloudy or blurred vision, and potentially some redness, the risk of more serious side effects is less than 0.5%. Patients often report improved vision before even leaving the recovery room. 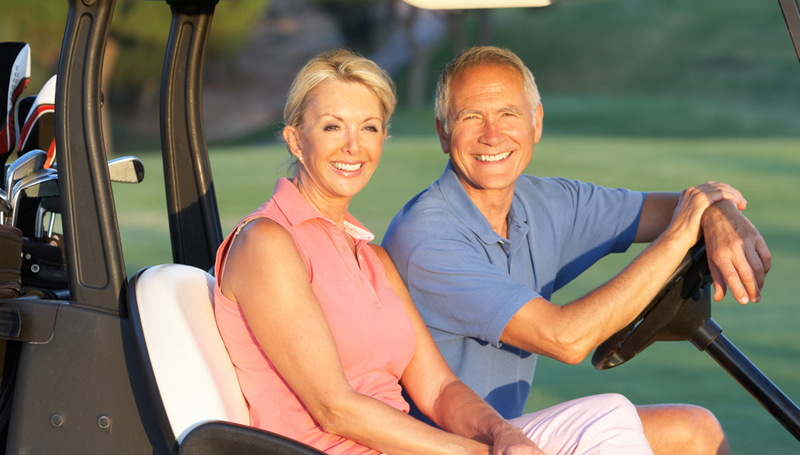 Whether you choose traditional or laser-assisted, cataract surgery is a permanent solution. The natural lens is replaced with an artificial lens, and that means it will never again be susceptible to cataracts. Cataract surgery has an overall 98% success rate. In Gainesville, Dr. Gregory Snodgrass has performed more than 20,000 successful cataract surgeries, and was the first local surgeon to use the LenSx laser cataract surgical system. 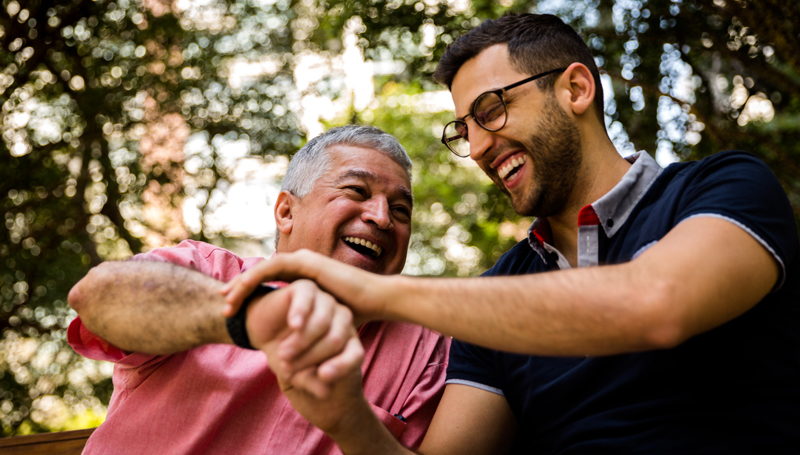 If you or a loved one is suffering from cataracts, contact North Florida Cataract Specialists and Vision Care today to schedule a consultation. When Should You See a Doctor About Dry Eyes? At some point, many people experience the pain and discomfort of dry eyes. For some, it’s infrequent irritation due to environmental factors. For others, it’s a chronic condition known as dry eye syndrome. So, when is it time to consult an eye doctor about your dry eye symptoms? The short answer is that you should talk to your eye doctor as soon as possible. After all, why suffer a moment longer than you have to? Dry eyes result from a lack of sufficient lubrication on the eye surface. Normally, a layer of natural moisture coats the eye. When this moisture layer is too thin or the composition isn’t just right, you can experience symptoms including stinging, burning, redness, scratchiness, matter in the eyes, excessive tearing and more. You may even notice eye fatigue, sensitivity to light and/or a decrease in visual quality. Dry eye prevalence increases with age. In fact, the American Academy of Ophthalmology estimates nearly five million Americans over age 50 suffer from dry eye syndrome. But age isn’t the only contributing factor. Medical conditions ranging from diabetes to rheumatoid arthritis and lupus to thyroid disorders increase the likelihood of dry eye syndrome. Medications including antihistamines, blood pressure medications, decongestants and antidepressants can also contribute to your chances of developing dry eyes, as they often reduce natural tear production. If you experience chronic dry eye symptoms, you may also have a meibomian gland disorder. Meibomian glands are located within the eyelids. Each gland has a small opening along the edge of the eyelid through which they excrete an oily substance that helps maintain eye moisture. When these glands stop working effectively, evaporative dry eye disease can result. Your eye doctor can diagnose the root cause of your dry eye symptoms and work with you to develop an effective treatment plan. For occasional dry eye discomfort resulting from environmental factors such as living in or visiting dry environments or exposure to smoke and wind, over-the-counter drops may alleviate symptoms. For more persistent issues, after diagnosing the root cause of your dry eye symptoms, your eye doctor may offer a variety of in-office solutions. If you’re ready to experience long-term relief from dry eye symptoms, contact North Florida Cataract Specialists and Vision Care today. Through our Dry Eye Center for Excellence, we offer multiple treatment options to address your specific dry eye symptoms and causes. Call us today at 352-373-4300 to schedule an appointment. It’s the time of year when many employer-sponsored and individual insurance plans are up for renewal or re-examination. As such, you may be taking a fresh look at your own vision insurance needs. Finding the right coverage for you and your family is important and time is short, so what should you consider? Most vision plans include the essentials: a comprehensive annual eye exam, a new pair of glasses every one-to-two years and some contribution towards the cost of contact lenses, but don’t take any of that for granted. The allowance for frames can vary quite a bit, for example, so if designer frames are important to you, you may want to select a plan that accommodates that. Just read your plan details carefully, so you’re not caught off guard. Major eye issues, surgery and disease treatment generally aren’t covered in a vision insurance plan, and may instead be covered by your general medical insurance. While you’re thinking through the plan options, be sure to also take into consideration your family’s evolving needs. How many people in your family will need an eye exam this year? Anyone with a diagnosed vision challenge will certainly need an annual exam. Additionally, the Mayo Clinic recommends children get their first comprehensive eye exam between ages 3-5, and every 1-2 years thereafter. Healthy adults with no outward symptoms of eye problems should get an exam every 5-10 years in their 20s and 30s, every 2-4 years in their 40s and with increasing frequency as they age. And if any members of your family have previously been told eyeglasses or contacts are in their future, you’ll want to be sure to factor that in. If you’re thinking of changing vision plans, be sure to contact your current eye doctor in advance to ensure they accept your potential new insurer. 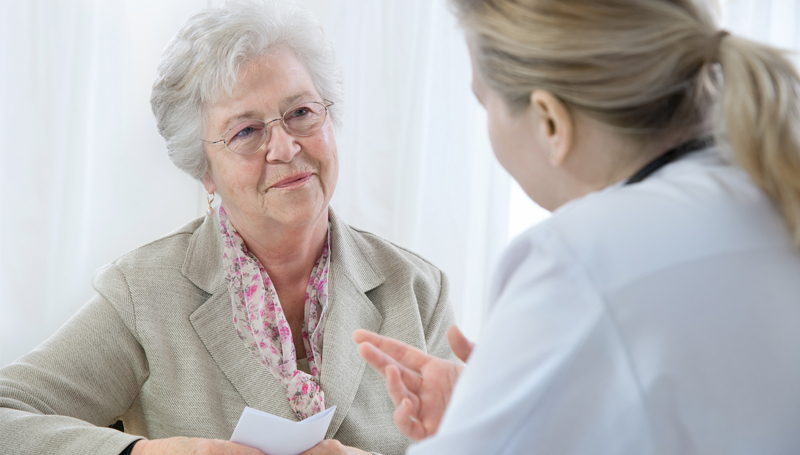 You may also want to talk with them about what costs you might expect without insurance. For some people, direct pay can actually be more economical. At North Florida Cataract Specialists and Vision Care, we accept most insurances and vision plans, and we’ll be happy to talk through your specific vision needs. Contact us today at 352-373-4300. Readers of the Gainesville Sun recently voted North Florida Cataract Specialists and Vision Care the area’s Best of the Best for 2018 in three separate eyecare categories. 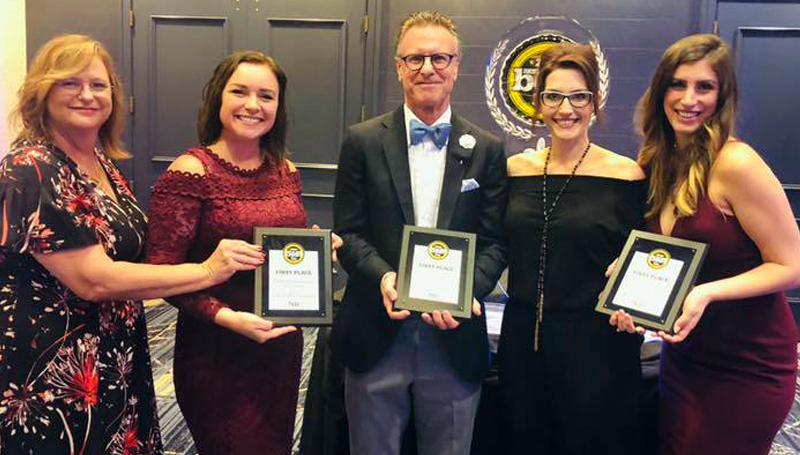 The competition featured several of the area’s finest vision practices, but in the end, only one practice per category was named Best of the Best. We diagnose and treat vision problems ranging from nearsightedness, farsightedness and astigmatism to eye diseases including glaucoma, macular degeneration, diabetic retinopathy and more. Our practice features four physicians with the experience and expertise to accurately identify the root cause of your vision challenges and offer treatment options to fit your goals and lifestyle. We even perform state-of-the-art eye surgery, including laser-assisted cataract surgery. Our two local Gainesville optical shops – on NW 8th Avenue and 43rd Street, and in Tioga Town Center – offer convenience, comfort and quality care. Our licensed opticians are specially trained to ensure your eyeglasses provide optimal vision improvement. They will take time to understand what you’re looking for and help you find the best fit. Plus, we have frames for practically every budget, including popular brands like Gucci, Hugo Boss, Maui Jim and more. At North Florida Cataract Specialists and Vision Care, we strive to make every patient experience exceptional. Every member of our staff is dedicated to listening to your needs and answering your questions thoroughly. Instead of feeling rushed or pressured, you’ll be informed and in control of your eyecare decisions. You can rest assured the treatment you receive here will be top-notch and delivered with genuine care. North Florida Cataract Specialists and Vision Care’s physicians and staff are extremely grateful for the patients and others who voted for our practice for these awards. We hold ourselves to high standards in order to deliver the quality of care you deserve and have come to expect, and we are honored to serve you every day. Whether you are searching for a new eyecare provider, or just have questions about any aspect of your eye health, we invite you to contact us today at 352-373-4300. Over-the-Counter Red-Eye Drops: Are They Safe? A nationally publicized murder case has many red-eye sufferers questioning whether the drops they use for relief of their red, irritated eyes could be deadly. York Country, South Carolina sheriff’s deputies say 52-year-old Lana Clayton recently confessed to killing her husband. And she did it by poisoning him with over-the-counter eye drops. Clayton apparently learned that many popular over-the-counter eye drops – including Visine, Murine Plus, Altazine, Clarine and others – use the ingredient tetrahydrozoline to constrict blood vessels in your eyes. That’s how they “get the red out.” When ingested in significant quantities, however, the chemical can result in death. When taken internally, tetrahydrozoline acts like a potent high blood pressure medication. Symptoms of tetrahydrozoline ingestion include drowsiness, low blood pressure, slowed heart rate, impaired breathing and possibly even coma. Children are at particular risk, as even relatively small quantities can trigger these symptoms. Red-eye is a common eye irritation symptom, potentially attributable to several root causes, including environmental conditions, infections, eye allergies, digital eye strain and contact lens issues, among others. 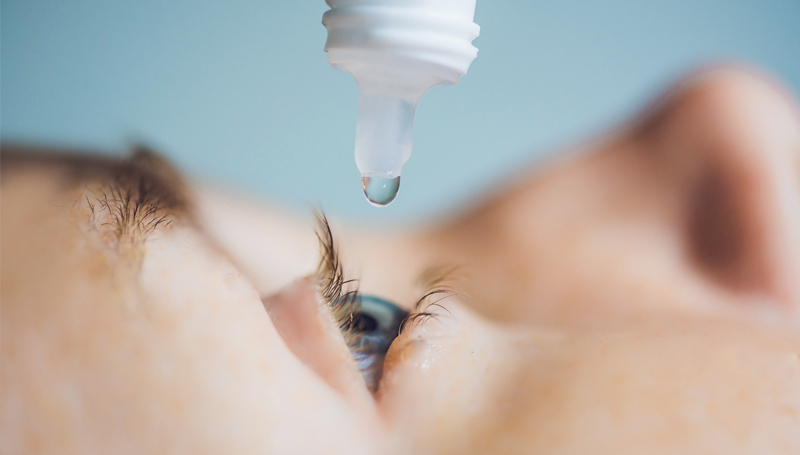 And while over-the-counter eye drops can help reduce symptoms, people with dry eye syndrome can often benefit from more comprehensive treatment. Through our Dry Eye Center for Excellence, the physicians at North Florida Cataract Specialists and Vision Care provide complete dry eye diagnosis and treatment. By helping patients identify the true cause of their dry eye symptoms, we are able to apply the most effective treatment regimen. 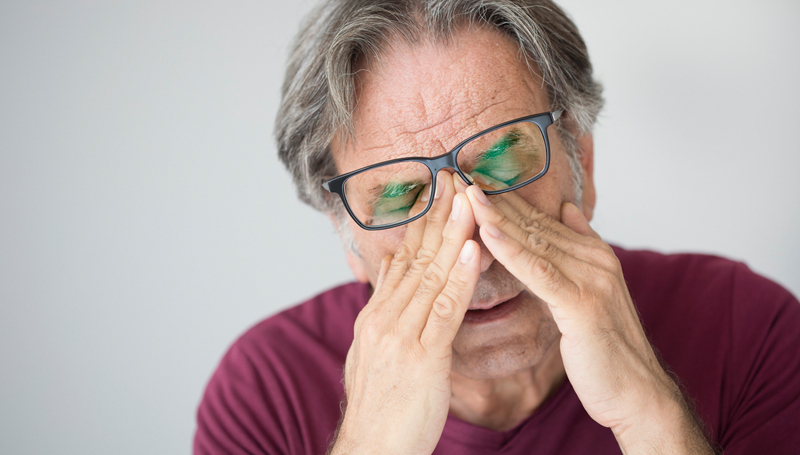 If you or someone you love is tired of constantly using eye drops without experiencing true ongoing relief of your dry eye symptoms, contact North Florida Cataract Specialists and Vision Care at 352-373-4300 today to schedule an appointment.